HOUSTON (CNS) — The 15 Catholic dioceses of Texas releasing the names of 278 clergy credibly accused of sexual abuse dating back to 1950 acknowledges that the stories of victims are being heard, said Cardinal Daniel N. DiNardo of Galveston-Houston. “That’s one thing they (victims) want. They want their stories heard. That’s really important,” Cardinal DiNardo told Houston’s KPRC-TV in an interview that was broadcast in several segments Jan. 31 as the list was released. The plan to coordinate the release of the names of 278 priests emerged in a Sept. 30 meeting among the Texas bishops. The Texas Catholic Conference announced in October that jointly releasing the names, was part of “ongoing work to protect children from sexual abuse” and “promote healing and a restoration of trust” in the Catholic Church. “We publish it for the Gospel. We publish it because of the young people who were harmed. The church is indeed wounded badly by this,” Cardinal DiNardo added. And while the list is comprehensive, he said there may be some clergy who were not included in the disclosure. “I want to indicate though that we’re very serious about this. We have worked on this very long and hard with a lot of laity and we think we’ve done OK. Can we expect there may be someone who might come by (who is not on the list)? Sure, that might happen. But we present our list as complete as we can at this time,” he explained. The disclosure also serves to recognize the anger and hurt that Catholics in the pews as well as priests across the state feel in the wake of the abuse crisis, he added. The cardinal also told the television station that the release of the names signifies that the church wants to become more transparent about its workings and that it serves as a step to rebuild trust in the church. 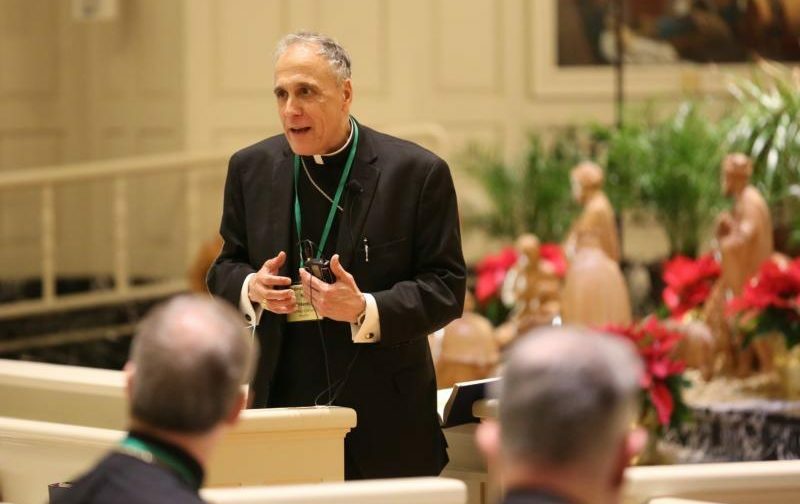 As USCCB president, Cardinal DiNardo will be among the leaders of bishops’ conference worldwide who will convene at the Vatican Feb. 21-24. Pope Francis called the meeting in response to the new revelations of abuse and questions about how bishops around the world have responded to such allegations. “I’m in between. I think there is some real good that can come” from it, he said. Cardinal DiNardo said the bishops and the church must face questions of credibility when it comes to its response to clergy abuse. He referenced an attempt by the U.S. bishops to adopt a series of measures during their fall general assembly in November in Baltimore that would address the credibility questions, but that the Vatican Congregation for Bishops had asked the USCCB to delay any action until after the February meeting in Rome. Later in the interview Cardinal DiNardo credited Pope Francis for wanting to develop a worldwide response in the church to ending clergy abuse and to hold bishops accountable for their handling of clergy credibly accused of abuse. “He said that this is not just a huge crime, that this is a major wound of the church and we must deal with it clearly and carefully. I think he means it and I’m with him on it,” the USCCB president said. The church’s challenges in addressing clergy abuse may in the end help society at large, he suggested. Editor’s Note: The full interview with Cardinal DiNardo can be viewed online here.